WEST LAFAYETTE, Ind. — Melissa E. Exum, dean of students and associate vice chancellor of student affairs at the University of North Carolina at Chapel Hill, has been named Purdue University’s new vice president for student affairs. The appointment, which is subject to approval by Purdue’s Board of Trustees, is effective Aug. 2. Exum earned her doctorate in higher education administration from Ohio University, her master’s degree in medical sociology from University of Maryland-Baltimore County and a bachelor’s degree in sociology from Wake Forest University. She began her career as acting assistant director of residential life at the University of Maryland-Baltimore County in 1986, and then coordinator for special services from 1987-1988. She spent nine years at Ohio University, starting as assistant director of student activities. She was named assistant dean of students in 1993, then associate dean of students in 1995 and associate vice president of student affairs in 1997. In 1998 she was named assistant vice chancellor for student affairs and dean of students at the University of North Carolina at Chapel Hill. 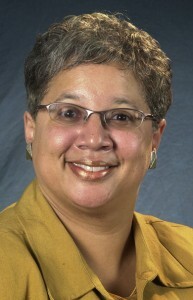 In 2005 she was promoted to associate vice chancellor for student affairs. During her time at the University of North Carolina at Chapel Hill she created a crisis response system and improved the university and community’s relationship. Throughout her tenure, Exum designed and taught several courses focused on leadership development in a global context. She also repositioned the Office of the Dean of Students to focus more on community development and worked with a number of groups on campus to create a student leadership program – the Carolina United Summer Leadership Academy – to encourage student conversations around diversity topics. She directed efforts to increase parental involvement and developed programs to help coach parents as they support their students while in college. “Purdue’s academic reputation is well-known, and that kind of success can be attributed to a strong devotion to student support and resources,” Exum said. “I look forward to helping Purdue, and especially its students, achieve greater success. Exum, who will report to the provost, will oversee dean of students, student health, recreational sports and the Center for Career Opportunities. Student affairs also provides additional learning opportunities through co-curricular activities, 81 Greek chapters, 12 cooperative houses, 875 registered student organizations, volunteer programs, three ROTC units, bands and orchestra, choral ensembles in Purdue Musical Organizations, and Purdue Convocations. The vice president of student affairs also will be responsible for student leadership development, crisis and risk management, communications, financial management, resource management and development, the advancement of diversity and inclusion, and student advocacy. The Office of Student Affairs was previously known as the Office of Student Services. Thomas B. Robinson served as the previous vice president for 12 years until his retirement this summer.